Product prices and availability are accurate as of 2019-04-18 08:43:37 UTC and are subject to change. Any price and availability information displayed on http://www.amazon.com/ at the time of purchase will apply to the purchase of this product. The Omega 3 Fish Oils are a perfect source of essential fatty acids for our dog's diet and one of the key ingredients in Dr. Dresslers Dog Cancer Diet. According to the Dog Cancer Survival Guide, Omega-3 fatty acids can help protect the body against cancer weight loss, it has been shown to help with depressions and shrink tumors within humans. This particular formula was designed specifically for dogs, and is recommended by Dr. Susan Ettinger (the co-author of the Dog Cancer Survival Guide) in this video. PROACTIVE PROTECTION FOR YOUR PUP - Daily supplementation with Omega-3 Pet products is a proactive way to help support overall health for your pet companions. Omega-3 Pet provides dogs with what they need to keep feeling and looking their best! Give 1 soft gel for every 20lbs of body weight. For smaller dogs, puncture the soft gel and put on food or use our liquid version. 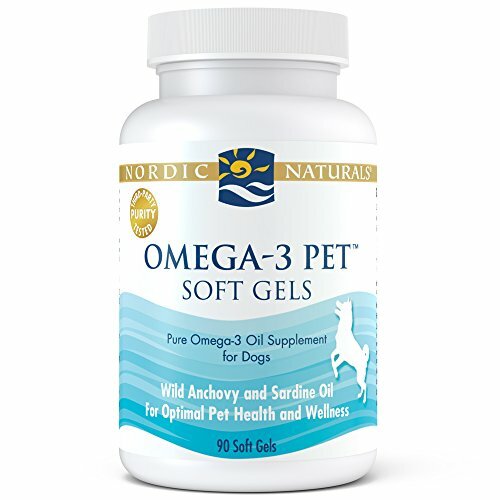 PROMOTES OPTIMAL HEALTH AND WELLNESS - Nordic Naturals Omega-3 Pet products are an excellent source of the important omega-3 fatty acids EPA and DHA. EPA and DHA help support skin and coat health, joint health, heart health, immune system health, cellular health, brain and eye development and maintenance. Adding this supplement can increase your animals overall health and nutrition. Available in liquid or soft gels. WILD CAUGHT AND SUSTAINABLY SOURCED - Every batch of Nordic Naturals fish oil is crafted from wild-caught, omega-rich fish from the freshest catch, sourced from the cleanest waters. Our Omega oil comes from wild caught anchovies and sardines and only in a way that fully protects the ocean's fragile ecosystem. Use within two years of opening. 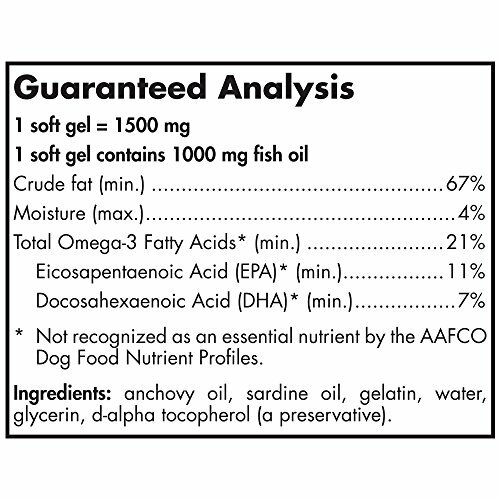 YOUR DOG DESERVES THE BEST - Many concentrated fish oils on the market are in the ethyl ester molecular form-a synthetic fat. Nordic Naturals formulas are produced in true triglyceride form to ensure optimal absorption and results. All Nordic Naturals pet products are made with the same exceptional quality oil as our human products, but have been specially formulated for dogs. Please use only our pet products for your dog or cat, not our human products. WE DELIVER HIGH QUALITY PRODUCTS - Nordic Naturals strives to provide high supplements to help their consumers reach optimum wellness. Nordic Naturals produces many different high-quality products that are third party tested for purity and freshness. 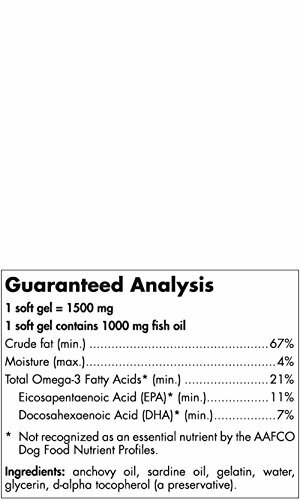 This Omega-3 Oil is the perfect addition to your pets diet for optimum health and wellness.